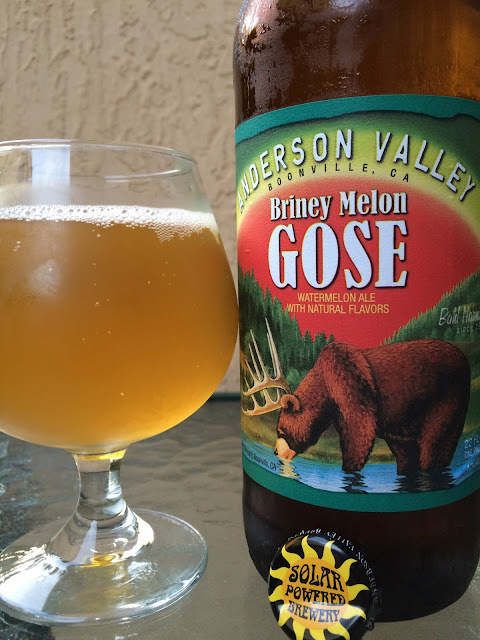 After enjoying Anderson Valley Brewing's The Kimmie, The Yink, and the Holy GOSE Ale and their Blood Orange Gose Orange Ale, I couldn't resist grabbing a bomber of their Briney Melon Gose. The cap reminds you that they are a Solar Powered Brewery and under the cap was a slang lesson: "chucklehead" = idiot. The label depicts their well-known bear with antlers mascot sipping water from a stream. A story on the side sets your expectations. 4.2% alcohol. 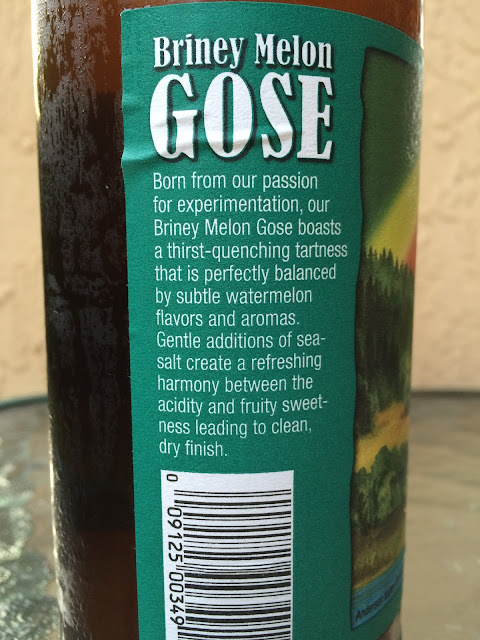 Nicely tart aroma with subtle watermelon. Tart and tangy flavors to start, not puckering. Lemon, strong saltiness. Again very subtle, but gentle waves of watermelon add nice flavor and fruity sweetness and an excellent contrast. Carbonation good. Fun and interesting. Another winner.